Quincycles and Save the Harbor Save the Bay invite you to join us for one of our 2 ride options on Saturday, June 2. The first 60 riders to register will receive a t-shirt, and are welcome to join us after the ride for a free luncheon at Gaveston’s Deli at Marina Bay supported by Save the Harbor/Save the Bay. Come enjoy Quincy’s coastline by bike! Cycle with us along Quincy’s coastline and enjoy the views from our beaches. Approximately 23 miles. 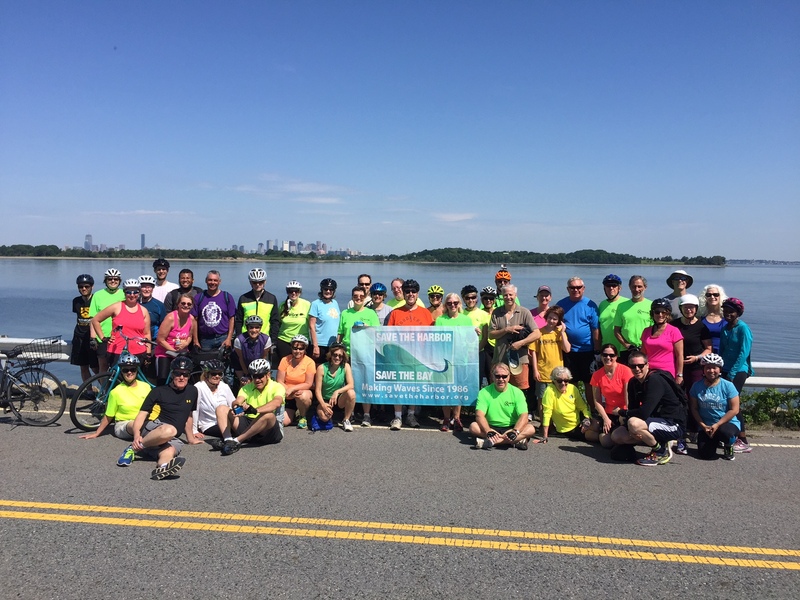 We will ride the Quincy shoreline via Quincy Point, Adams Shore, Germantown, Houghs Neck and Merrymount communities and then along Wollaston Beach. It is our goal to maintain a pace of 12mph and minimize stops during this ride. We will take a break at the Kennedy Center and meet up with the Short Ride group at 9:30 befroe continuing around the coast of Squantum as described below. This ride is for those cyclists who want to enjoy Quincy’s coast but not quite all of it. Approximately 8 miles. This will be a more relaxed ride around the coast of Squantum to Squantum Post then back via Marina Bay to Commander Shea Boulevard and a bike path around the Moorings and then back to Squantum Point Park.